Let's start the credit application process. We offer a variety of financing options to keep your business moving forward. 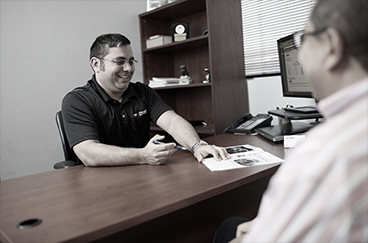 Personalized solutions designed for growth are crafted around your individual business cycle. Contact us to open a rental or lease account send us a completed credit application. Or download the application here to get started. We want you to get the most out of your rental or lease experience. Ask us about the tax benefits you will receive! Our full-service leases offer more than just a truck. They’re a comprehensive plan built to support all aspects of your business. As members of both the Mack Trucks Leasing System and Volvo Leasing System, we offer coast-to-coast maintenance and coverage to guarantee dependable uptime. To get started, fill out the proof of insurance form below. Don't hesitate to contact us to help you through the process. We offer a number of leasing and financing options to best suit your business. The first step is figuring out what your business needs to keep moving forward. This process can be complicated, especially if you have other priorities to focus on. If you need assistance, Nextran is here for you. Contact us to discuss your options and develop a customized plan for your business needs. Sometimes the unexpected happens and you need a short-term rental to keep your operation running smoothly. If that happens, Nextran is here for you and your business. These aren’t desperation rentals– this is a full fleet of truck models and brands to accommodate varying needs. We offer top-of-the-line Mack, Volvo, Hino, and Isuzu models, whatever your preference may be. Flexible terms ensure your rental needs are met, whether you need something by the end of the week or the end of the month. 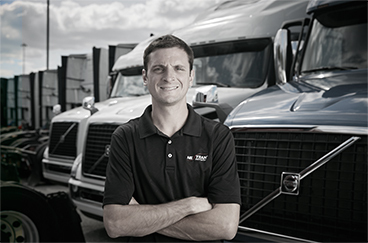 There’s truck leasing, and then there’s full-service truck leasing from Nextran. 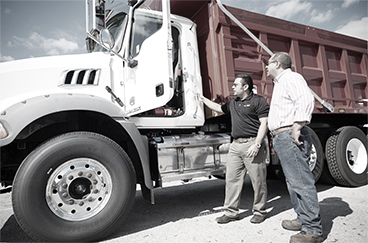 The key differences are the flexibility to meet your specific needs and the support to keep your fleet moving from coast-to-coast. Our tax-deductible leases are supported by the Mack Trucks Leasing System and the Volvo Leasing System to provide a sense of reliability and security when you’re drivers are on the road. We’ll even customize our trucks and our maintenance plans to ensure the truck you need is the truck you get.